Yesterday, on Twitter, I mentioned that my baby brother was complaining about Wiz Khalifa using a Chrono Trigger song as his background for “Never Been (Part 2)”. 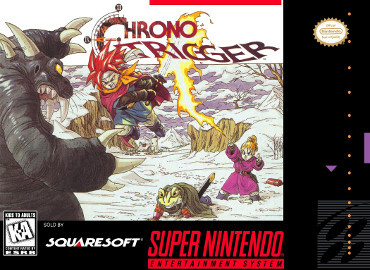 Then, someone asked what Chrono Trigger was, and that inspired this post. These are some of my favorite video games from my past. How many times did my brothers & sister ask me to save my game so that they could take their turns with the Super Nintendo? I definitely lost count, as I spent many hours playing as Chrono and friends, travelling through time to meet various characters in the timeline of present, past, and future, solving their problems and defeating the evil Lavos at the end. The game itself has over 13 different endings. The soundtrack is great, one I enjoy listening to even to this day. At the end of the day, Squaresoft put out a great RPG, which took up plenty of my time when I was younger. You can read more about Chrono Trigger on Wikipedia. 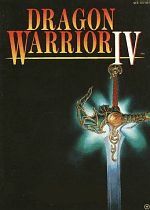 Before Chrono Trigger, Dragon Warrior IV was my RPG of choice. Walking between towns, defeating slimes, Ragnar had to save the kingdom of Burland. This was a 5 chapter RPG, part of the Dragon Quest series. This was probably my first video game addiction. Yes, I know I was only 2 years old at that copyright date. However, my dad got me into console gaming at a very young age. He taught me other games on Intellivision, but BurgerTime! was my favorite hands down. Apparently, I liked making hamburgers while avoiding evil eggs, sausages, and pickles! When I was old enough to play console games without Dad’s help, I fell for the Super Mario Brothers series. While I didn’t like Super Mario 2 (as it didn’t seem to follow the original Super Mario), I did enjoy Super Mario 3 and a bunch of other Mario games while I could. 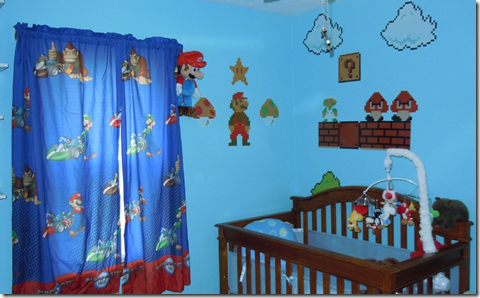 From NES to SNES to N64, I enjoyed a variety of Mario games. I loved playing Mario and trying to rescue Princess Toadstool from Bowser (King of the Koopas), defeating Goombas, Koopa Troopas, and various baddies along the way. These are a tiny glimpse of the games I used to play. Mind you, RPGs and puzzles are my favorites, but I also played other games as well, especially sports games like Double Dribble, Arch Rivals, Blades of Steel, and Tecmo Bowl. I’ve definitely been a gamer of some sort for most of my life, feeding into my competitive nature. Don’t be surprised if a random video game reference makes an appearance; you never know which game I’ll reference next!